Get your free forex trading signals and earn more pips from the forex market! How to Trade Forex Pairs? The GBPCAD has rallied sharply especially after especially after the release of the Bank of England minutes, but I think we could see a repeat of what happened in 2014. Economic data out of the UK could softened this summer and therefore the risk remains for a correction in this currency pair. 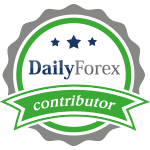 I am looking for a pullback of 500 pips which would be healthy and in my opinion necessary if the GBPCAD is to trade above the crucial 2.0000 mark. I also think that the Canadian Dollar is extremely oversold and ripe for a correction of its own. Thanks for sharing, Sir. I jumped on this a little late, but there's still a good margin left until the take profit level. By the way, if you close the trade early, will you let us know? Thanks. You are welcome John. I do not update if I close early so I recommend that you protect your profits with a SL. I may start a service where I will update live, but not sure when and how yet. Leave an amazing message and don't forget to come back and earn pips with us. Blog Promotion - Earn $40 per Post!